There's something so inherently beautiful about the curved lines and stunning colors that get locked away for millennia inside of an agate crystal. 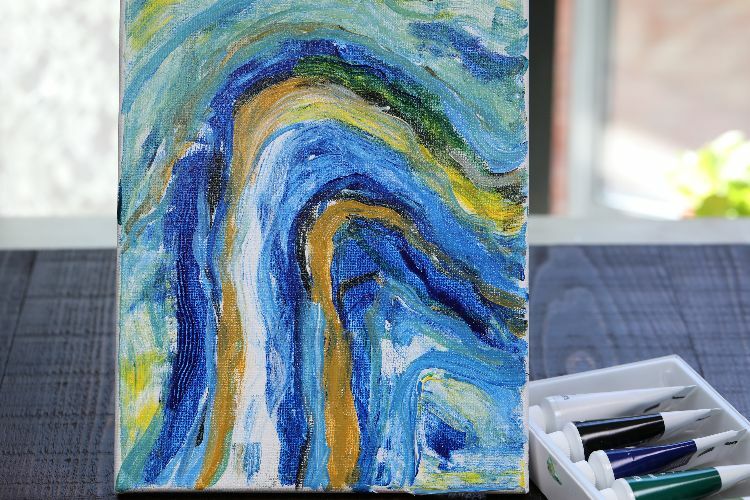 Now, you can take inspiration from that natural beauty to create a modern piece of art for your home. Don't worry, we've made it easy for you. 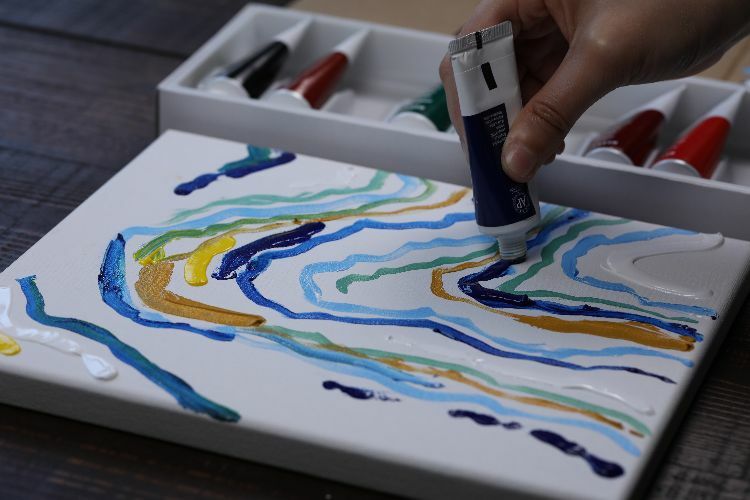 All you're going to need is some acrylic paint and a canvas to get started -- plus a piece of cardboard. 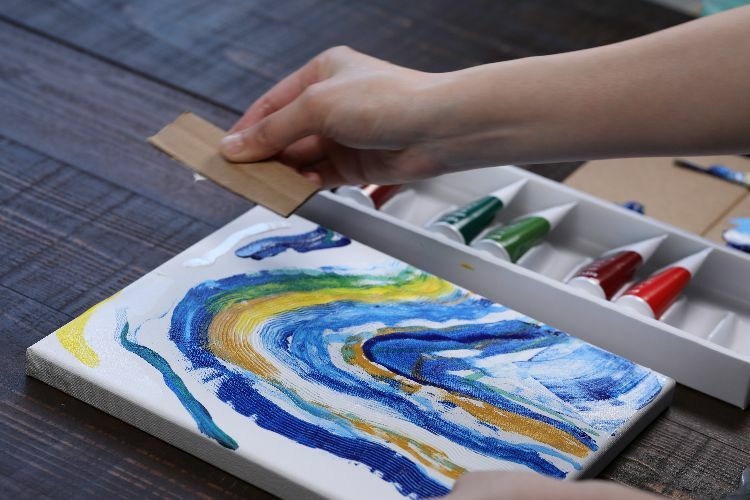 Believe it or not, a piece of cardboard can turn even the worst painters into artists. Check out our instructions below, and be sure to check out the video for extra tips, too! 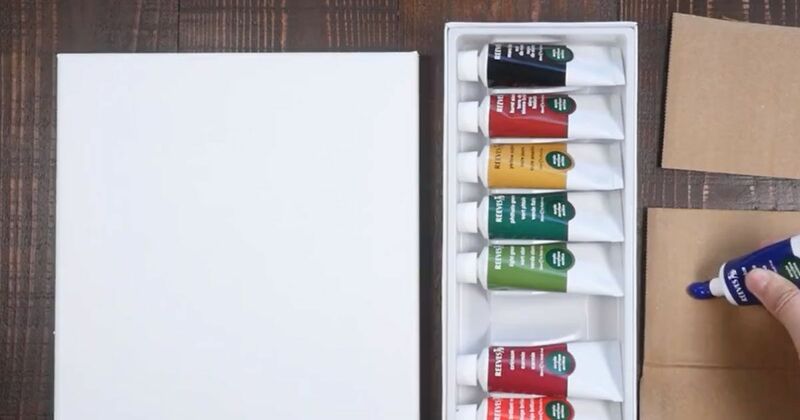 When you go for a standard box of acrylics, you're going to just get the basic colors. But you're not basic, are you? So mix up some colors that you want to build your pallet around. Later on, you're going to come back to the primary colors. 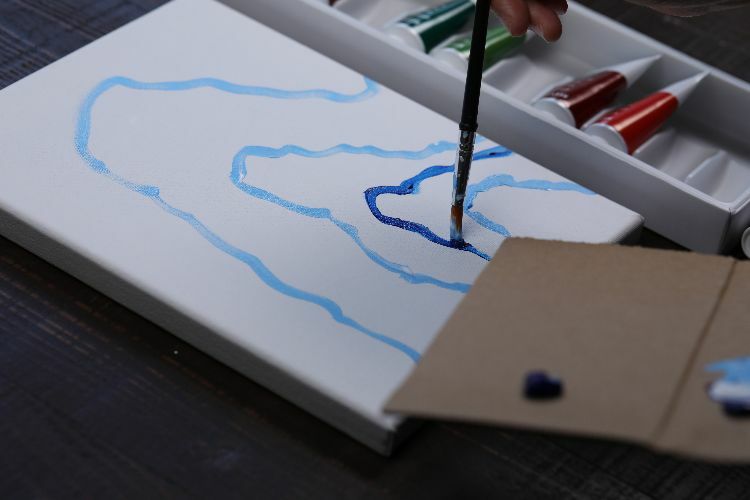 Start off by creating some of these arched lines in your canvas. Start down at the bottom corner and then work your way up, following the initial shape over and over until the final line is so big it nearly reaches the top of the canvas. 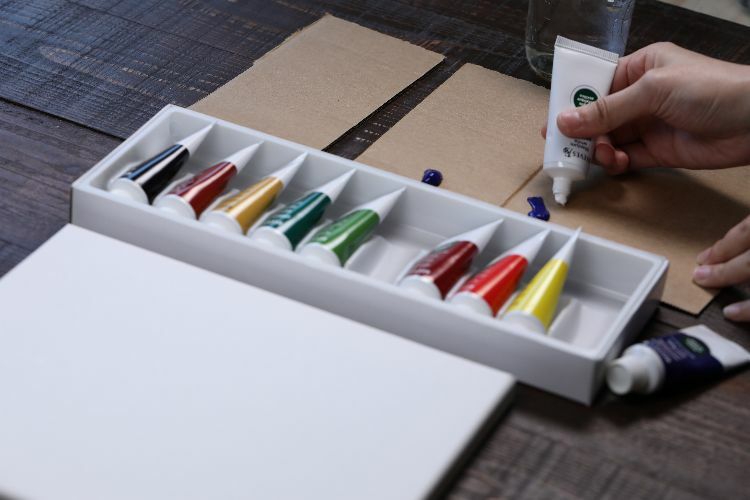 Now that you have some baselines to work with, take primary colors that go with your color scheme and start applying them directly to the canvas. Do so in a way that follows the original lines, but don't feel like you need to make complete lines either. Simply fill in the white spaces creatively. Now that you have some nice thick paint on there to work with, grab your piece of cardboard and begin smearing the paint. Don't do so haphazardly, though. Move your cardboard in the direction of the lines so that you blend all of the colors together. Keep blending until there isn't any white space left. Don't forget to share this project with your friends on Facebook, Twitter and Pinterest! Cement doesn't have to be ugly! These projects are simply gorgeous. Your little bub has outgrown his or her crib. Now you have no idea what to do with it. Here are 12 awesome ideas to repurpose your baby crib into new treasures. Looking for a decorative accessory that's chic but also functional? This easy-to-make clock is adorned with natural elements that impart a soothing Zen vibe.